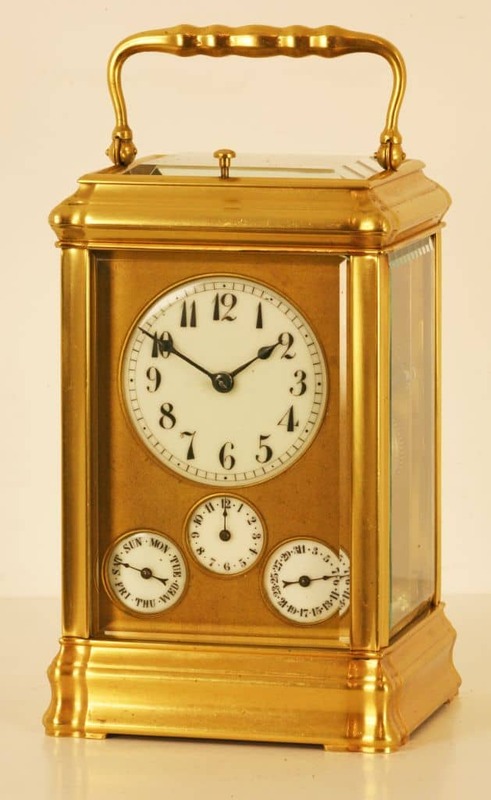 A GORGE CASED DAY, DATE & ALARM GRANDE SONNERIE STRIKING CARRIAGE CLOCK. CIRCA 1875. 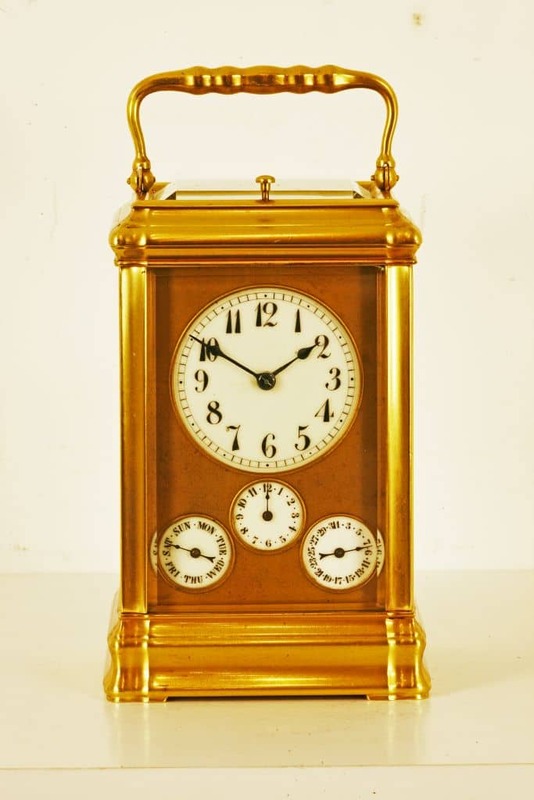 An attractive and large grande sonnerie carriage clock. The gorge case of typical form has deep bevelled glass to the top, sides and back door. 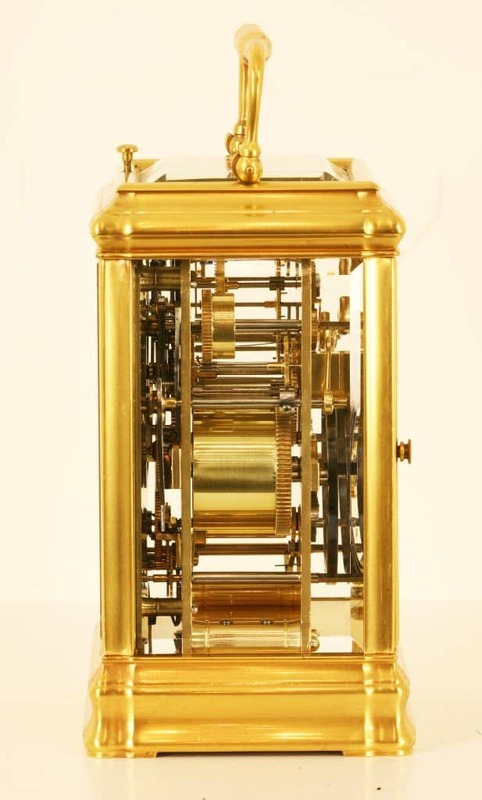 The three dials are contained within a gilded mask. The main hour dial has Arabic numerals and the subsidiary dials for day, date and alarm also have Arabic numerals where applicable. The clock has blued steel spade and pointer hands. 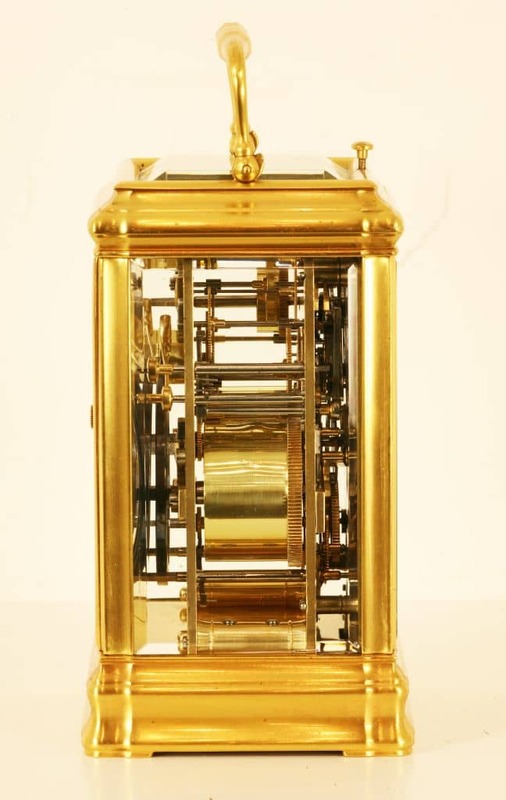 The eight day grande sonnerie movement strikes the hours and quarters on two gongs mounted on the backplate. 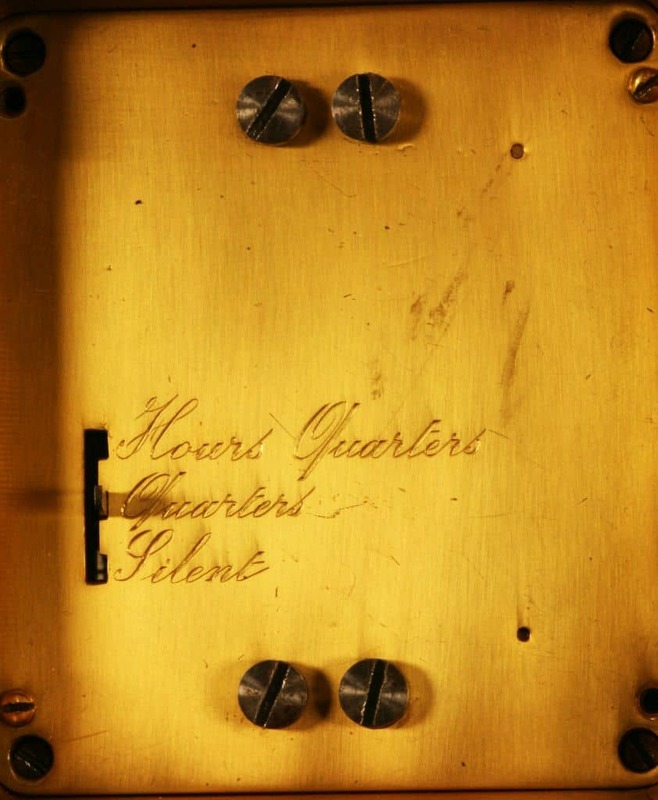 There is a three position lever in the base for full grande sonnerie, quarter striking only and silent. 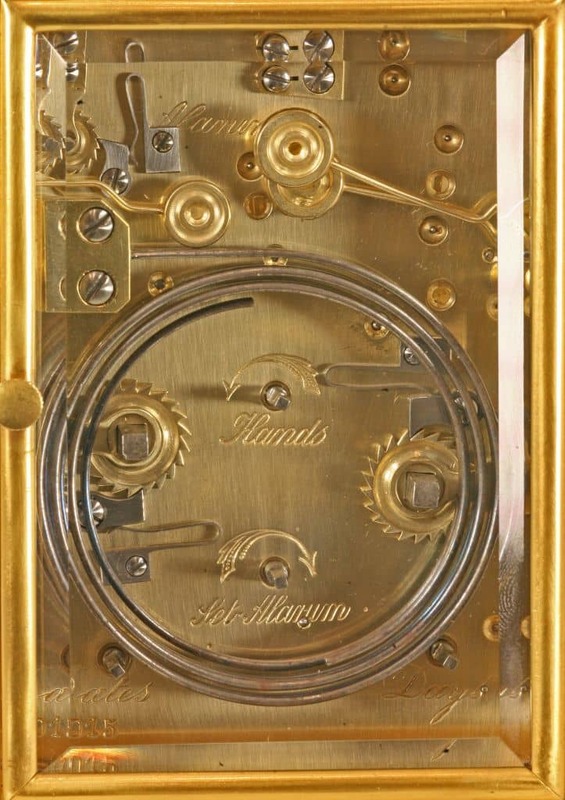 The movement was made for the English market and has the various hand setting arbours noted in English on the backplate. 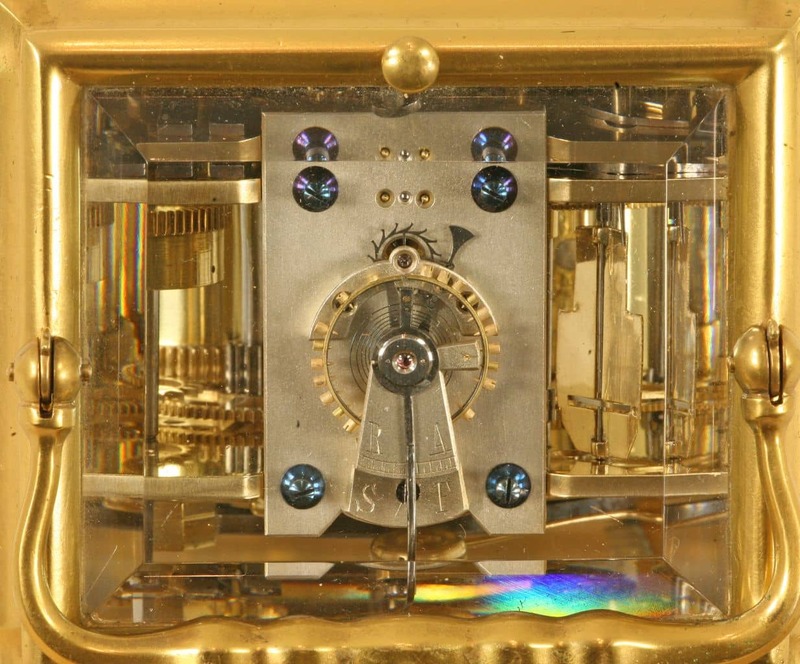 The fine quality lever escapement has a silvered platform with a bi-metallic balance wheel with poising screws.